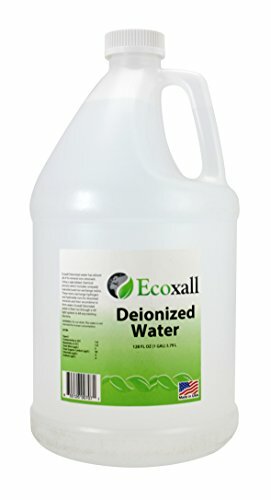 Details: Ecoxall Deionized water has almost all of its mineral ions removed. Using a specialized chemical process which includes uniquely manufactured ion exchange resins. These resins exchange hydrogen and hydroxide ions for dissolved minerals then recombine to form water. Ecoxall Deionized water is then run through a UV light system to kill any existing bacteria.